Everything I love about the world is in these commercials. Three Japanese men acting out scenes for the upcoming The Legend of Zelda: Tri Force Heroes on a white background is Nintendo's latest way of saying, "Buy this game please." I answer with a emphatic, "Yes please!" The whole thing reminds me of the campy, terrible, '80's and '90's commercials that advertised the likes of Crossfire, McWorld, and the Sega Genesis. That's a good thing as far as I'm concerned because it shows Nintendo is still the one video game manufacturer that isn't afraid to have fun with their products instead of making edgy, "mature," material to appeal to the late-teen/early-20's demographic. Celebrate the zany, nonsensical, gamer in you by taking a look at these two commercials. You also don't have long to wait for the game. 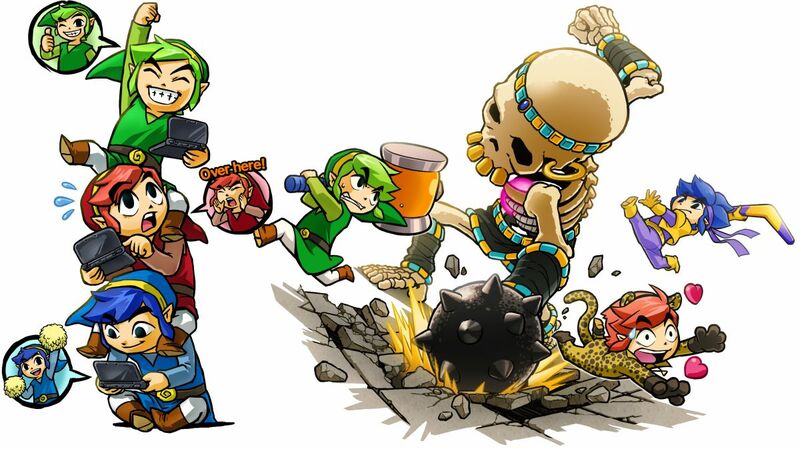 The Legend of Zelda: Tri Force Heroes hits Western shores on October 23.